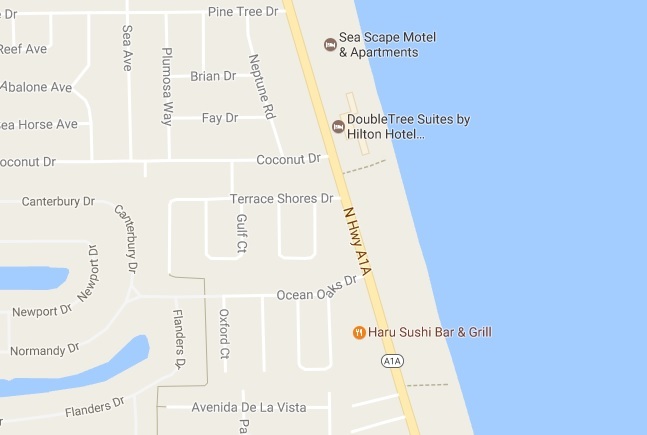 INDIALANTIC, Florida - An 58-year-old Indialantic man died as a result of injuries he sustained in a head-on vehicle crash that occurred just after midnight on Wednesday near the intersection of State Road A1A and Ocean Oaks Drive in Indialantic, Florida. According to the Florida Highway Patrol, James Bellamy Bickerstaff was driving a 1990 Mercedes southbound on State Road A1A. Meanwhile, 23-year-old Ian Joel Morkan Colon was driving a 2007 Lincoln northbound in the southbound lane of State Road A1A. The two vehicles then collided head-on and Bickerstaff was pronounced deceased at the scene. A passenger in the Mercedes, 40-year-old Hannah Tes Sullivan, suffered serious injuries. Colon also suffered serious injuries. Both were transported to Holmes Regional Medical Center in Melbourne, Florida.